Freelance jobs sites provides opportunity to post their projects to be done for employer and allows to do the project for employee. 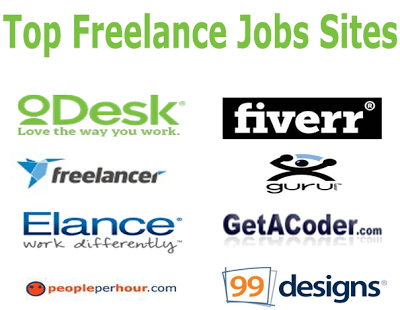 Freelance jobs sites were became today’s most effective and reliable online marketplace for doing freelance works. From those sites you can do any type of work according to your skill and experience. Mostly programming and designing works are popular among the other. Other types of works like search engine optimization, online marketing, e-mail marketing, article writing, logo designing, graphic designing etc. may also available. Here are the top 10 lists of freelance jobs sites which may helps you to find out the best freelance site that matches for you. It is the world’s largest freelance site where job provider find, hire and pay the talented and experienced freelancers from around the world. Freelancers are also allowed to set an hourly of their based on their skills and experience and paid for every hour they have worked. If you are skilled person in any field, you can earn online by exposing your talenty. You can use various tools and techniques i.e. performing various test matching to your skills and different posting for your guideline, to push up your skill and knowledge. ODesk charges contractor (who provides jobs) 10% fee for the services of connecting with the freelancers, hiring them and collecting payment for finished project. It provides large range of payments and withdraw methods. You can also earn extra by referring to your friend by using its affiliate program, which is free to join and you can earn up to $50 for per lead. I want to recommend to join here for your success online earning. It is the another largest online workplace for online workers, which is better for business as well as freelancers. You can create your free account both as a job provider and job seeker. Upwork provides great security features for the advanced security of accounts for their users. As a freelancer you can get your favorite and high skilled jobs easily and apply for them. Jobs can be found for working both as a hourly based and fixed price. You can also get notified about the new job posting that matches to your profile directly to your skills list. It provides easy, flexible and low cost payment options for both freelancers and clients. You can use any of the option which is easier and available for you. 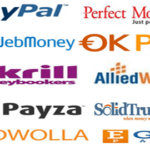 The different payment and withdraw methods available here are PayPal, Bank Transfer, Check, Payoneer, Skrill etc. Upwork also provides referral program to promote them with your friends. The another program called affiliate program also available to allow the users to earn extra for sending their websites visitors to Upwork website. It is the another largest freelance job site in the worlds largest outsourcing marketplace. Any small to medium business can get quality work in an affordable price and only pay after the work completely finished. Freelancers can also get jobs that best matches to their skill. It takes $3 USD or 3% of the total project for employer and up to $5 USD or 10% for freelancer which is greater for completion of the project. You can pay or withdraw by credit card, PayPal, Skrill, Web money, Wire transfer etc. You can also get paid 90% of all the project commissions by referring your friends. This freelance job site Guru is the best for both the business and freelancer. It also provides freelancers to work for any of the hourly and fixed priced projects. 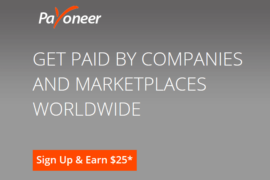 Fivver is a little different type of freelance jobs site than other, which i have described above. 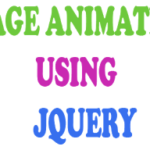 It is most popular who wanted to be done their work as low as $5. Here you can buy or sell a service starting from $5. The projects can be found to work and can post the projects to the large range of categories like Graphics & Design, Video and Animation, Online marketing, Writing & Translation, Advertising, business, programming and many more. You can sell your any of the service by creating a gig, publishing it on fiverr website publicly. After gig published, you can get order and then get paid after delivering their work. 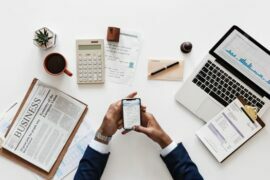 This freelance jobs site offered services through either Hourlies which are fixed price services or custom jobs which are fixed price or price per hour. Users can register on PeoplePerHour on free and can post your jobs as job provider or can do others job as a worker. The payments are made after the buyer agreed the work successfully completed. The payment are made through creating Escrow account. It does not charge a fee to the buyer, who buys the services and takes some fees of 3.5% from seller, who sells the services. You can do payments or withdraw by using different methods like Bank transfer, PayPal, Credit or Debit card etc. 99designs is the worlds largest leading freelance site specially for design work. Here business owners can buy and designers design for logos, business cards, t-shirts, websites and many more. To get started to work from here, you can have to create your account at first and then you can search for design projects. You can participate on the design contest for the projects to win prizes and improve your skill. If you won a contest, you have to transfer the copyright for the contest holder and upload your original design file, after that contest holder credit the prize to you. You can request for payouts by using any of the methods provided by 99designs. The payment methods provided are Payoneer, PayPal, Moneybooker and Western Union Money Transfer. Designcrowd is an online marketplace for providing logo, website and graphic design services from the freelance graphic designers. The business or people who need a design can post the project for design contest or run a freelance job. As a designer you can earn from here by participating in a design contest or freelance job. In a design contest, you can get paid after your posted design selected by buyer and in a freelance job, you have to be selected for the projects at first and then you can start to work for that projects. After you won the design contest or you have completed your project, you can get paid via PayPal or Moneybookers (Skrill). You can earn from it’s affiliate program also, if you refer any customer that posts a design contest, you will be paid $30 USD. It is also the largest marketplace for freelance designs and writing services. The buyer, who posts the projects receives the different designs and concepts, then select the best and paid for it. As a designer, you can participate in the design contest by submitting your best design according to their projects criteria or information. If your design is selected by the client awarded the prize. You can withdraw your payment by using any of the major credit card or PayPal.